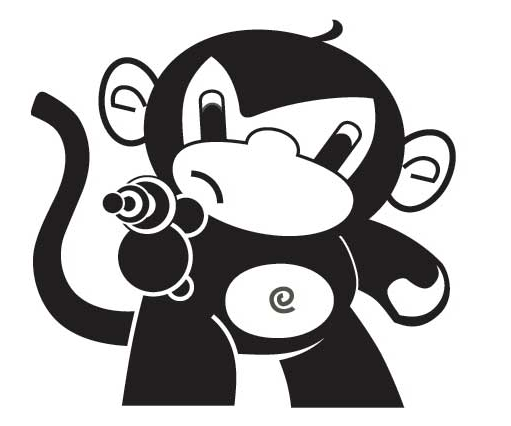 Disruptor Monkey are a North Carolina based startup, and they recently popped up on my radar through an article on Brad’s blog. There’s not much information available about their product, Unifyr, but they do have this well-produced teaser video. Based on that, I’d describe it as a way of accessing a lot of different data sources from a single interface. 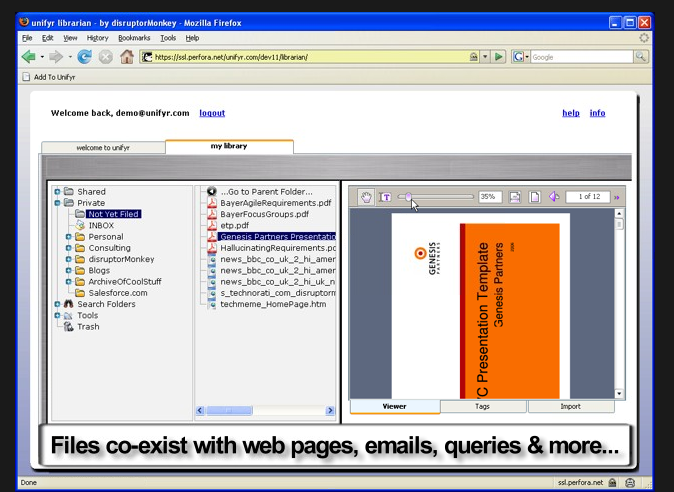 The demo shows external web pages, email messages, CRM databases, and internal documents (both stored locally and on the network) all appearing in a unified file structure view. It looks like there’s a way to search, sort and organize all of these sources of data from the same interface. The workflow of using their product appears very streamlined and intuitive. It’s using metaphors people already know, a button in a browser toolbar and a folders and files view. This opens up the product to a lot of people who’d be put off by something geekier. They also have obviously thought about making it as hands-off and automatic as possible, with features like automatic tag generation, and making folder sharing very easy. I’d like to use it myself, based on what I’ve seen, and as Nick put it in an email I like their thinking and am "well down the road drinking the kind of coolaid we enjoy". I’ll look forward to hearing about how they position their product, it seems like it could help out with a lot of business processes, but they’re not discussing any focus yet. I’m especially interested in how they approach this, since I’m struggling with finding a painful enough problem to apply my own ideas to. Check out Nick Napp’s blog to keep up to date with this very promising company. « Does email analysis invade privacy? Thanks for the shout-out and kind words. We’re scaling up our beta program right now, so if you’d like to be involved, drop me an email.